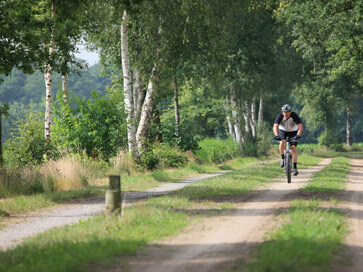 The Bikers Union has declared the Achterhoek to have the best and most beautiful biking areas. The Achterhoek is characterized by a variety of landscapes with forests, heather, meadows, fields and rivers. Most bikers make use of the cycle route network which you can join at any junction. At each junction you’ll find a map on which you can figure out your own route. 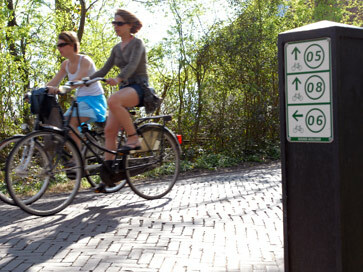 You will write down your junctions whereby you can continue your biking to enjoy the beautiful area of the Achterhoek. Check oversight cycle routes. In the area of the Achterhoek you can take a lovely walk between meadows and fields, along the river shores, through picturesque villages and over belch properties. The Achterhoek has its own hiking network, with around 150 starting points. The starting points are simple to recognize by the information posts with route information. From these starting points you can walk prepared routes. You can also combine routes. You will always have a route to walk in the Achterhoek! Check oversight mountainbike routes. The Achterhoek is highly suitable for the mountain biker as well. In the area of group accommodation Kom in de Bedstee several routes have been set. There are routes in Winterswijk (29 miles), 's Heerenberg (16 miles), Eibergen-Borculo-Lochem (54 miles) and Haaksbergen (36 miles). The route in Winterswijk goes for around 90% over dirt roads and will you show you the varying landscape of Winterswijk.